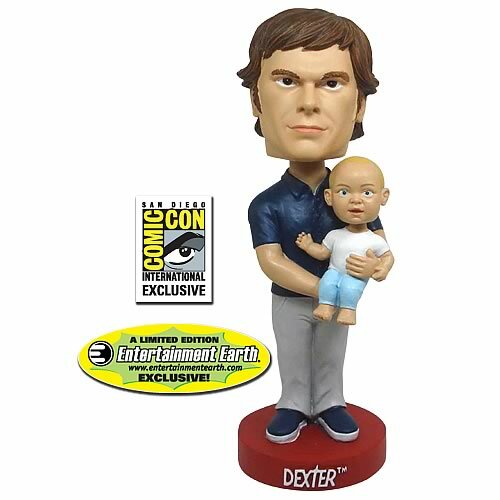 @BifBangPow: SDCC 2010 Exclusive Dexter and Harrison! It's time to play daddy! 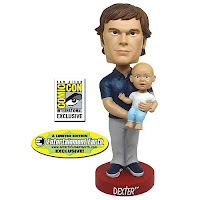 From the hit Showtime television series Dexter, here's part-time serial killer Dexter holding little baby Harrison... and both of their heads bobble! A blood-splatter expert for the Miami Police Department by day, Dexter spends his nights murdering other serial killers. Now this so-called "good guy" – and his son – are available in this 7-inch resin bobble head!